Create your training environment on the fly. 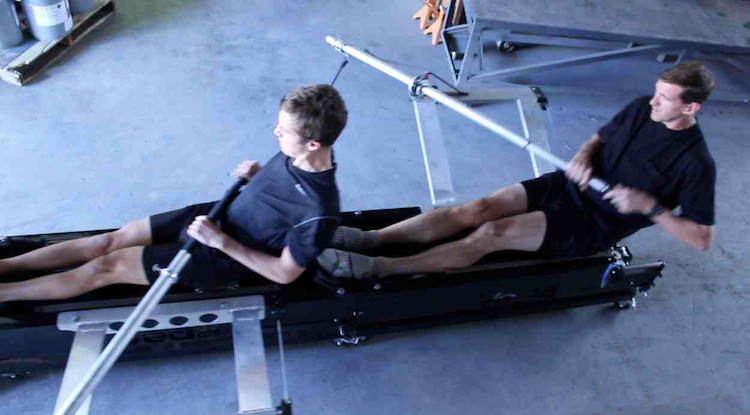 Replicate any class of rowing shell (1X, 2X, 2-, etc.). or make one up (1-, 3X, 3-, etc.). 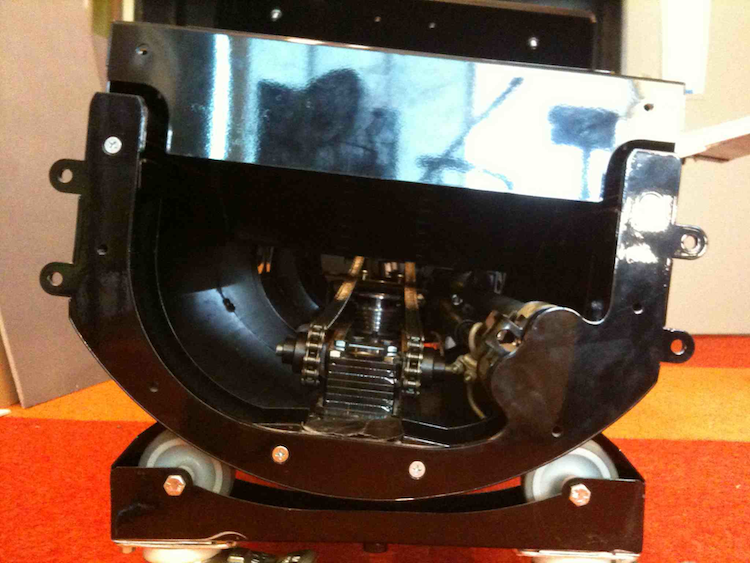 Machines naturally align upon coming in contact with each other and fasten with a few bolts. Rapidly assemble and remove riggers. Oars are placed in the oarlock just as they are in the boat. Resistance cables slip on and off over the end of the oar. Pull hard, but pull smart. Veda offers both quantitative and qualitative feedback. 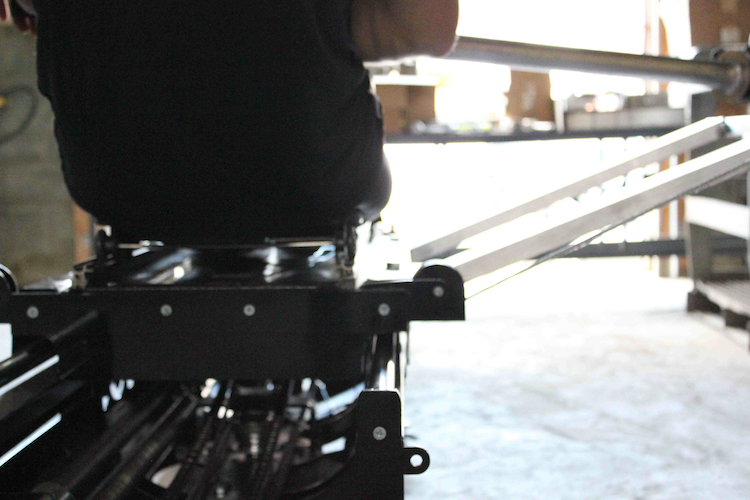 When assembled as a team boat, every rower in the crew is directly connected to every other rower’s resistance and recovery mechanism. The crew can readily feel how well their power application is aligning; acceleration increases, splits drop and Veda “runs out” between strokes as crews start to gell. 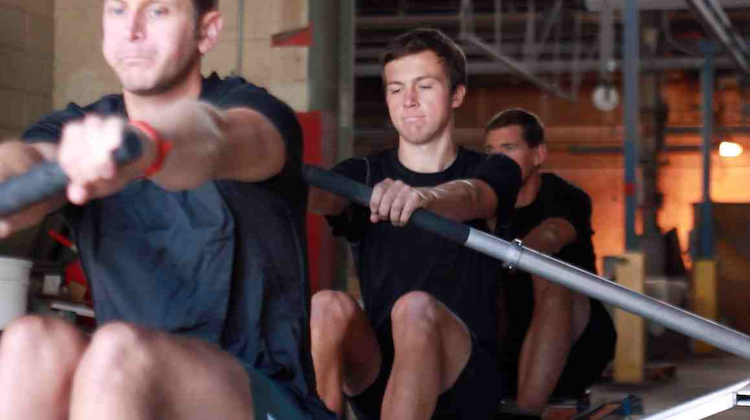 Veda immediately responds to each rower in the crew; introduce a longer stroke, more effective power application, a more fluid recovery, an effective pick-up at the catch ... and individual, crew and coach will know it. Go for long swing rows or pound out some race pieces. 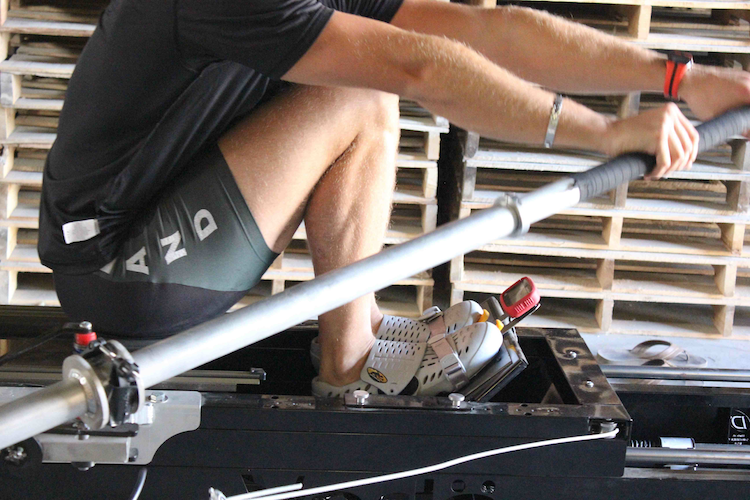 Rowers feel the “hull” running underneath them, which affords them the opportunity to intuitively adjust both their recovery and power application. Veda self-calibrates the speed of the hull based on the rating and effectiveness of the drive, but hull speed can also be adjusted. Dial crews into a specific rhythm by adjusting the rate of recovery. Train by the numbers. One speed coach per crew can be used to measure the collective output of any given combination of athletes. This allows for the optimization of both crew selection and team learning. The same unit can be used both on Veda and on the water, allowing users the opportunity to calibrate and normalize output between the two environments. 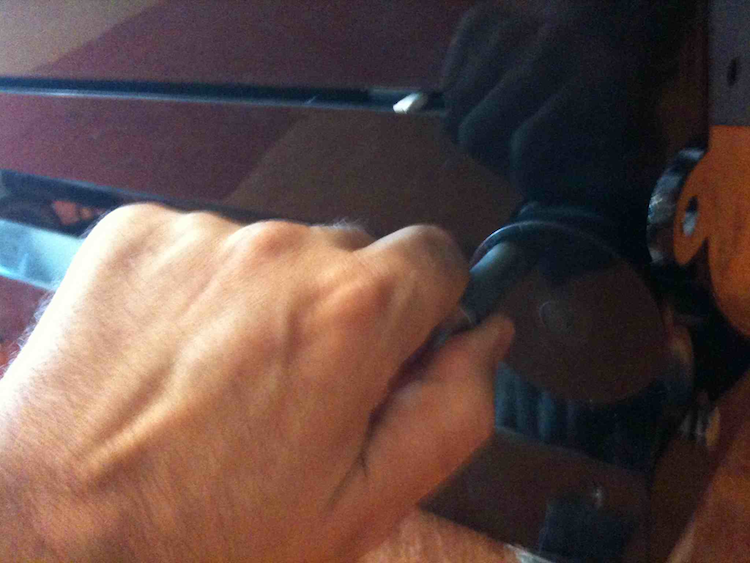 Devices can also be calibrated to Concept 2 monitors. Find your center and train there. 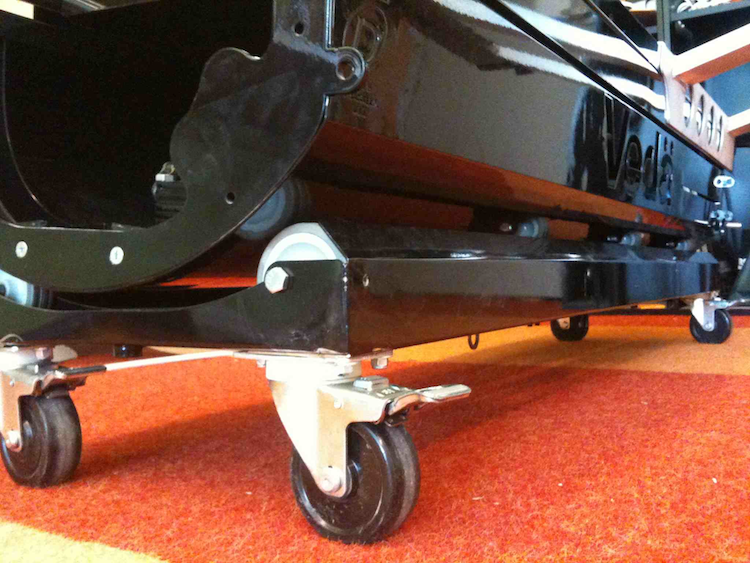 For more advanced individuals and crews, Veda can be unanchored and allowed to roll from side-to-side. Athletes can then learn how to not only flow and apply power, but do so in a manner that does not disturb the crew or shell. 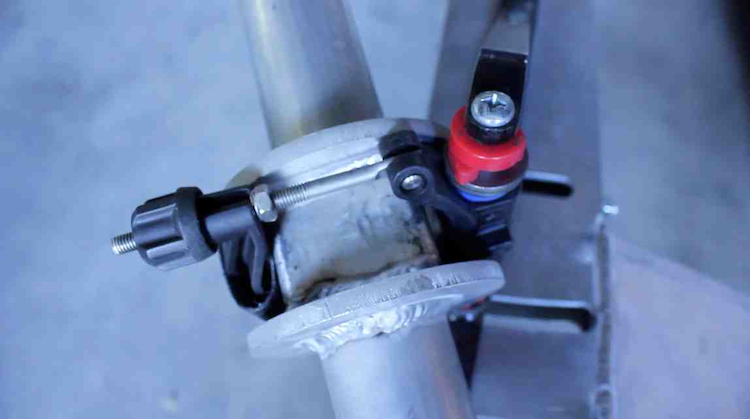 Anchoring requires the placement or removal of two bolts. 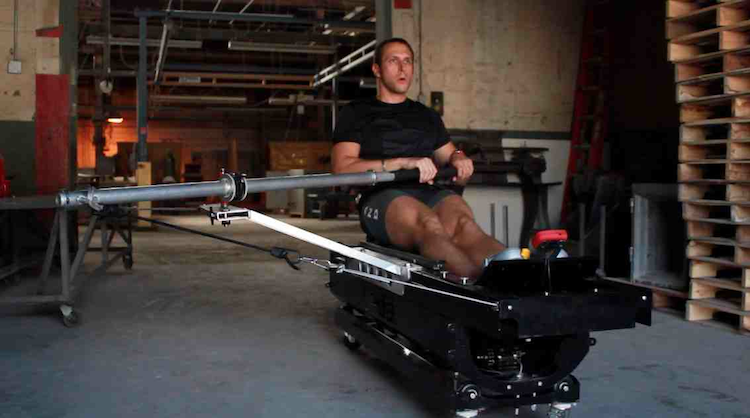 Turn your space into a high-performance rowing center. Dimensions: 5 feet long, 2 feet wide without rigger, 4 feet wide with sweep rigger, 15 inches of slide overhang. For every additional machine, simply add another 5 feet. When done, simply roll Veda to the side of the room. Veda is built to last; it is built of steel (powder coated), aluminum, airplane grade cabling and Dyneema straps. Total weight is approximately 225 lbs. Rig Your Veda - Optimize your rigging. 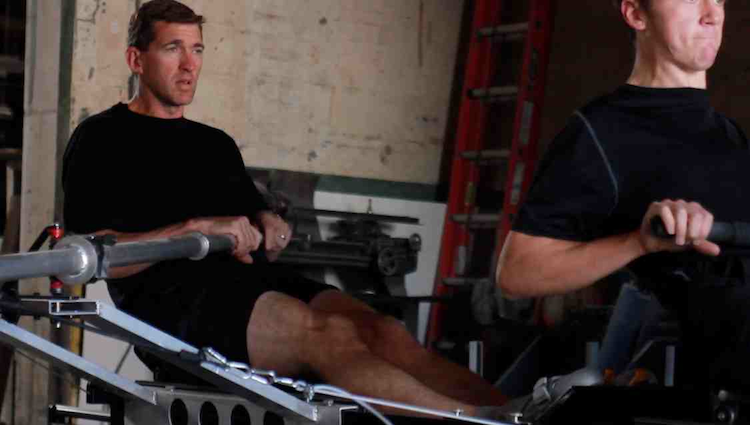 Veda duplicates the general dimensions of a rowing shell. Easily experiment with different rigging across the crew within a highly controlled environment. 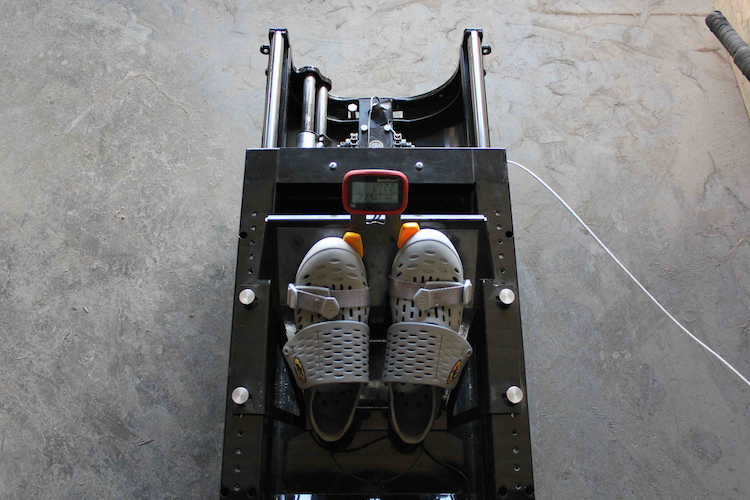 Adjustments to inboard, spread, oarlock height, shoe height and thru-pin. This can be used to find optimal rigging that can potentially translate to the water. 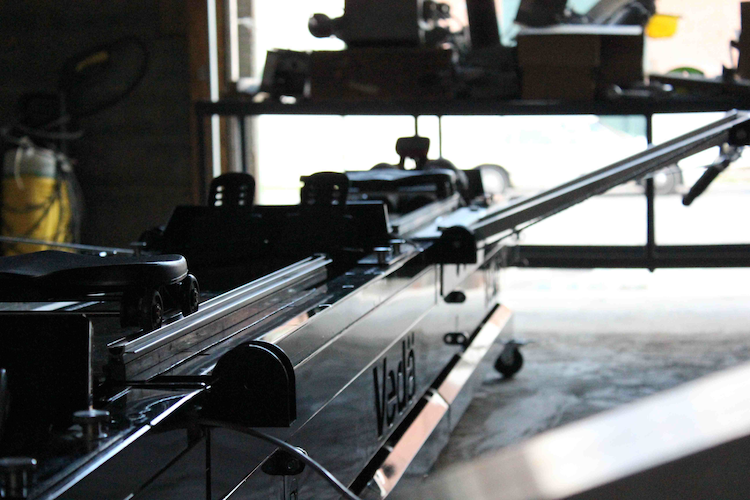 Made in Upstate New York, U.S.A. - Veda Sport is dedicated to staying local. A majority of the parts are manufactured within a few miles of where Veda is proudly assembled and shipped. 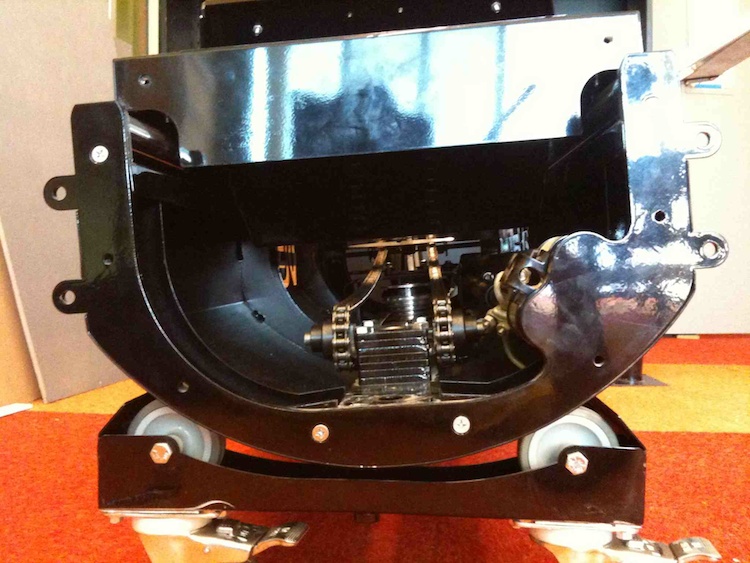 Others are American made parts purchased through distributors located in Syracuse, New York or made within a within the greater Upstate region. Upstate New York is a great place to live, play and build solid products. Purchasing and Delivery - We will deliver to your doorstep. 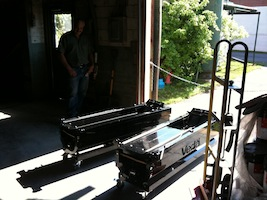 Currently, we are taking orders for delivery to the Mid-Atlantic and Northeast regions. Shipping is possible for special orders (inquire below). Purchases can be made either in full or through very affordable leasing agreements. Contact any of the people listed below for further information or sign up to our mailing list to stay up to date on our offerings. Design and development by , bugs by nature.